Subaru has finally released a racetrack-focused GT version of its BRZ sports coupe, but unfortunately for US consumers, the new Subaru BRZ GT will only be released in Japan. The 2017 Subaru BRZ GT will come equipped with Sachs dampers, which the Japanese automaker claims will add to the coupe’s cornering abilities and increase the BRZ’s overall ride quality. Those dampers are available in the United States, but US consumers are required to dish out extra money for the Performance package to get them. Furthermore, the BRZ GT also gets a high-performance braking system that’s complete with red Brembo brake calipers. As for the outside of the vehicle, the new BRZ GT will come with an eye-catching rear spoiler, 17-inch alloy wheels, and a Pure Red exterior paint job. The GT model will also feature LED headlights and taillights. Powering the ‘17 BRZ GT will be the same 2.0-liter flat-four engine that comes in every new Subaru BRZ. That motor is good for 205 horsepower and 156 lb-ft of torque when paired with the standard six-speed manual transmission. However, when the available six-speed automatic gearbox is used with the sports car, power output drops to just 200 ponies and 151 lb-ft of torque. Taking a look inside the BRZ GT, consumers will find seats that are covered in a combination of Alcantara and leather, which are tied together using bright red stitching. In addition, the front seats are heated and they also feature a red BRZ logo. Subaru has not announced how many GT models it will produce, but the automaker did reveal the price of its newest BRZ trim. 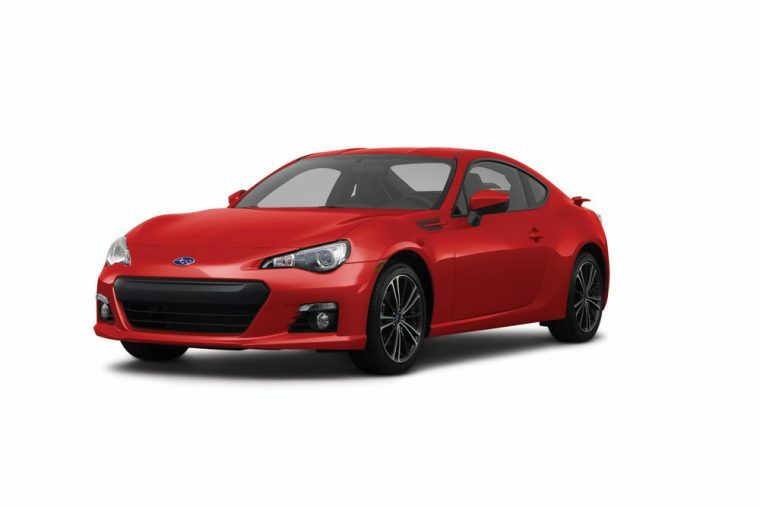 When equipped with the manual gearbox, the 2017 Subaru BRZ GT will cost approximately $31,900 in US currency. In contrast, buyers who prefer automatic transmissions will have to pay roughly $32,500. The 2017 Subaru BRZ GT is scheduled to go on sale in Japan starting this November.